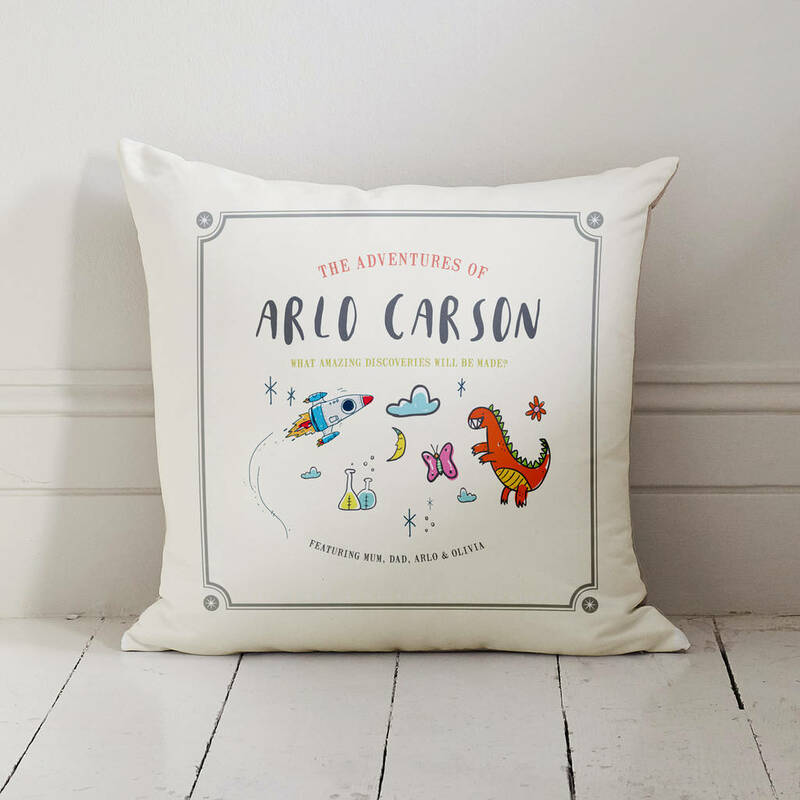 A personalised child's story book cushion, making your little one the star of the story. 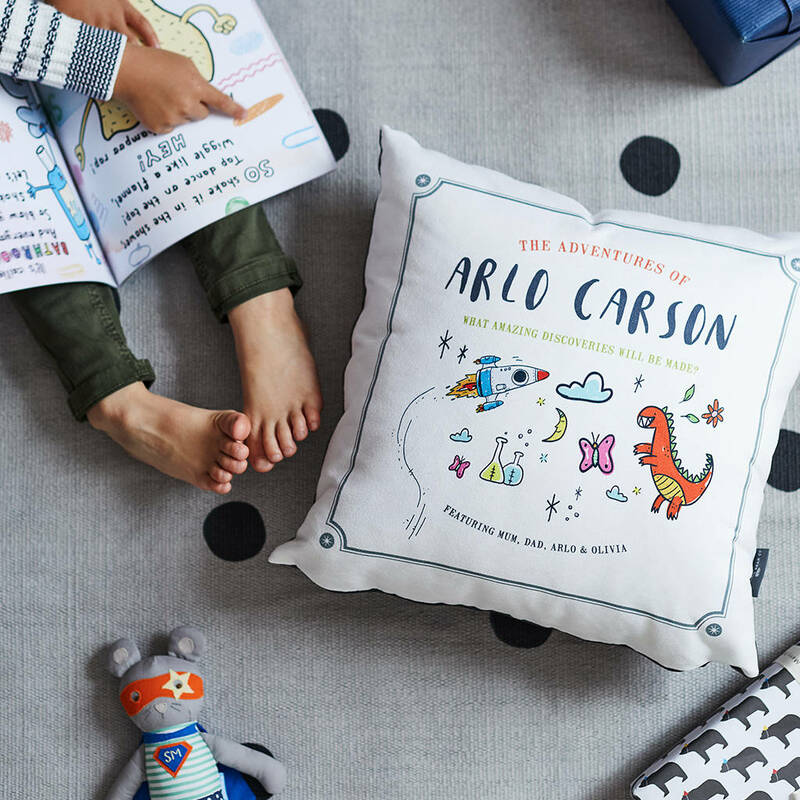 Perfect for igniting the imagination of your little ones. A fun story time cushion for a child's room, depicting vibrant illustrations and your childs name in the title. Lets face it, your little one is already the star of the show and their story is only just begining. 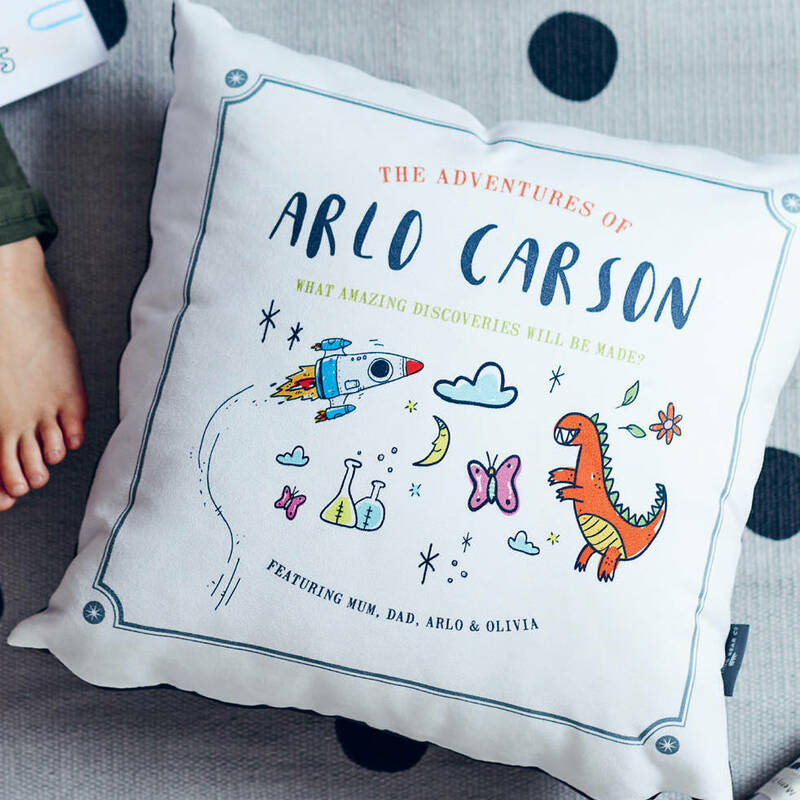 Ignite their imagination with this personalised child's story book cushion, where they become the main character in the story, accompanied by their family members (named at the bottom), to enjoy adventures with rockets, dinosaurs, nature and science! 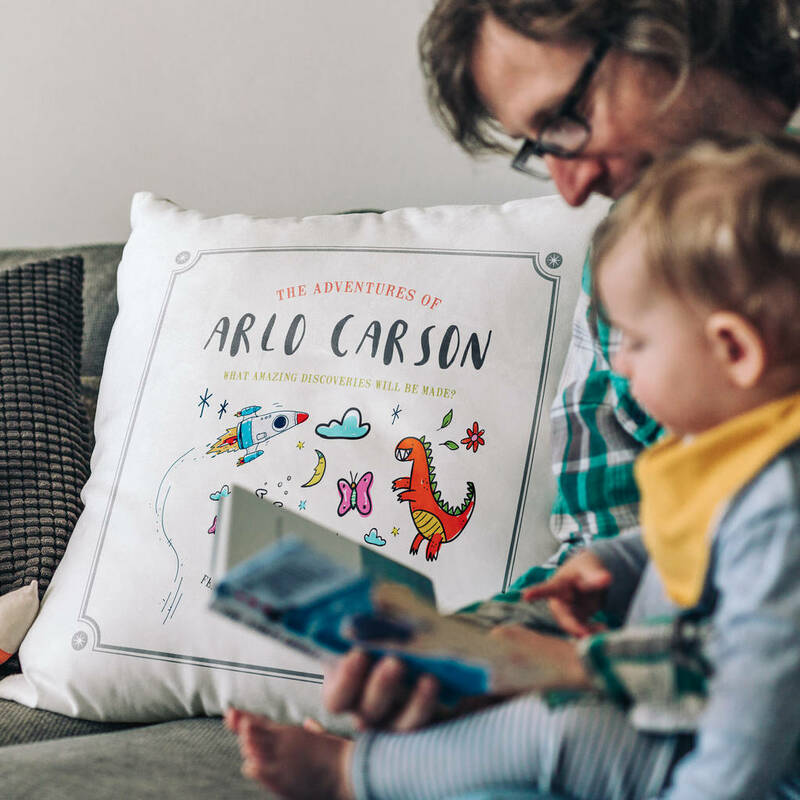 A perfect new baby gift for a little one who's adventures have only just begun, or a gift for a little adventurer discovering the wonders of the world! Personalise with a child's name to appear in the title after 'The Adventures of', a tagline to follow the title - such as 'What discoveries will be made?' and the family members names to appear as 'featured' to be displayed at the bottom (such as Mum, Dad and any siblings). 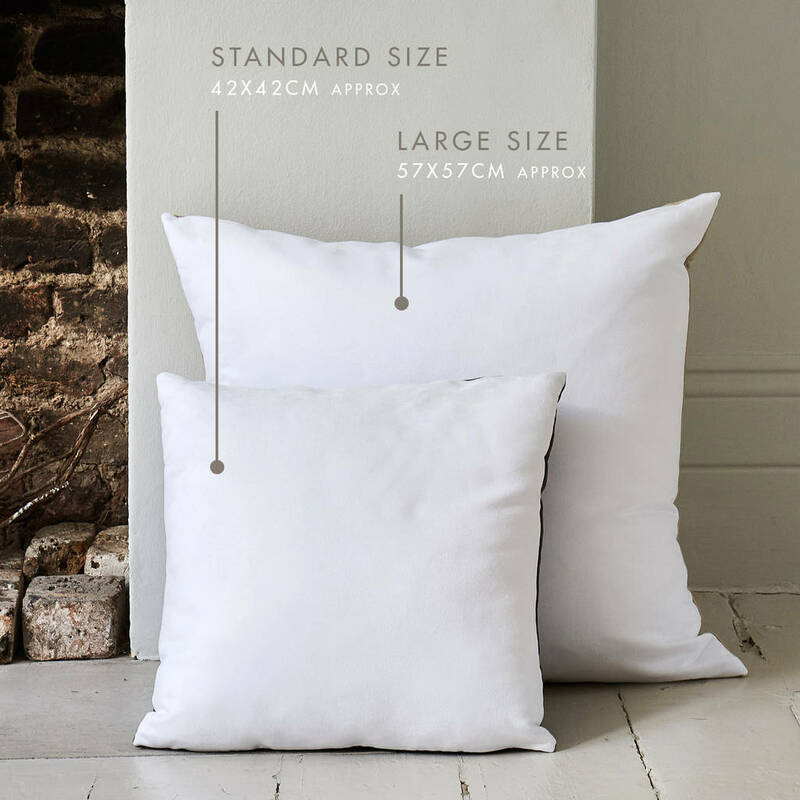 You can also choose your cushion filling - either fibre or duck feather. Alternatively you can choose just to buy the cover, if you already have a cushion pad. 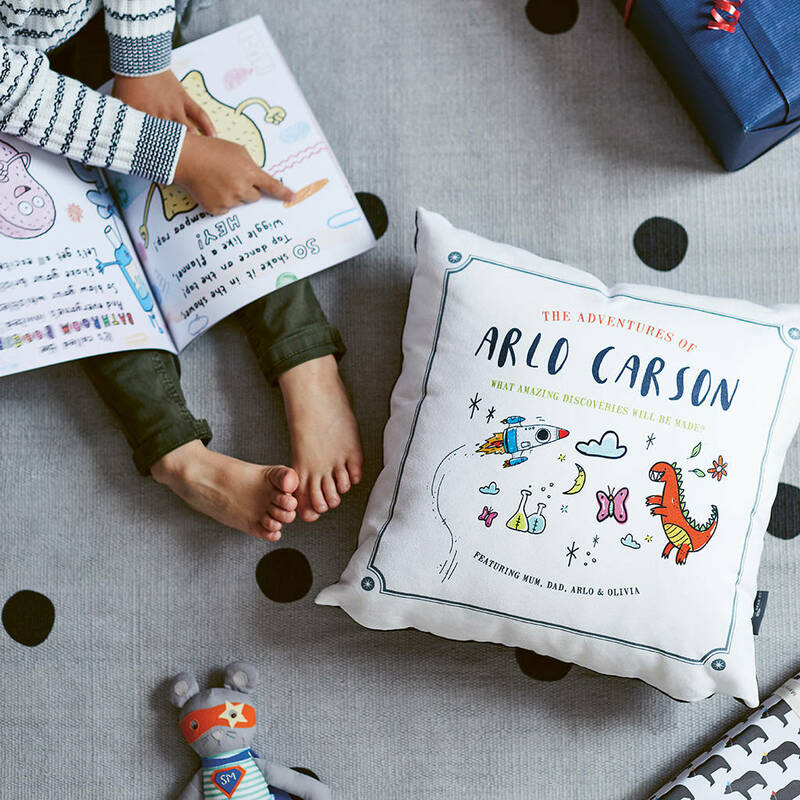 All our cushion covers have a washable, colourfast and wear resistant finish, making them even better for those with mucky bear paws! The design is also printed right to the edge of the fabric, giving this cushion a very high quality finish. Each is then sewn with love, including a concealed zip so you can remove the cover if you need to. The smooth fabric makes these cushions incredibly tactile and extremely huggable! A perfect place to snuggle up together at the end of the day.